Key Difference: Lodging is a facility that is provided for the accommodation, whereas boarding includes both the food and accommodation facility. Whenever words like lodging and boarding come into our mind, we know that they are related but the distinction often becomes confusing. They may seem referring to the same kind of facility but there is a minute difference between them. Lodging is the facility of providing an accommodation to the guests. Generally, the word boarding we have heard with respect to students, as they live in the boarding houses. Boarding consists of lodging with facility for the food. 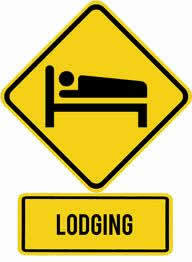 Lodging is a facility that is provided for the accommodation. One comes across this word in a hotel search or stay. Many hotels put the sign boards stating ‘lodging facility available’ and thus the visitors come to know that this hotel provides the accommodation facility. Hotels are primarily used for lodges and the person stays for a certain time in the hotels, though the stay is not for a longer period. These can be at the tourist places as many tourists comes for the vacation and need to stay in a hotel and thus hotel provides them with the necessities of accommodation and depending upon the budget you may also be given additional facilities. Lodges is another name of such kind of places where accommodation is provided. Thus, there is basically no difference in lodges and hotels as hotels do provide the lodging facility. Boarding this term we have heard many times as someone said “He boarded the plane”. This is also referring for a kind of accommodation that is being provided to the person during his travel. However, it is important to note that it is different form lodging as it also includes the food services in addition to the accommodation. Most commonly, this is the term that is used for the facility generally provided to the students. As they should more focus on the studies, the boarding is preferred over just lodging. There are various hostels that provide this kind of facility. If one wants to eat the meals at different local places then, one may prefer to stay in a lodge rather than in a hotel. It all depends upon the budget and the facilities provided by these accommodations. Generally, boarding is used to refer to a permanent kind of lodging especially in terms of students as they are required to stay in a place for a long time, for the sake of continuity of studies. Boarding charges include the lodging charges. A guest house in which the guests are provided with meals and lodging is known as a boarding house. 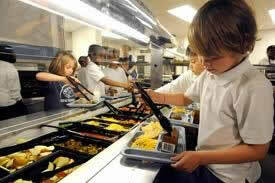 They both differ in the sense that boarding provides lodging as well as food facilities. Another difference between them is that lodging is usually related to short stay, whereas boarding refers to a longer stay.